More and more people are discovering Abisko and Björkliden. 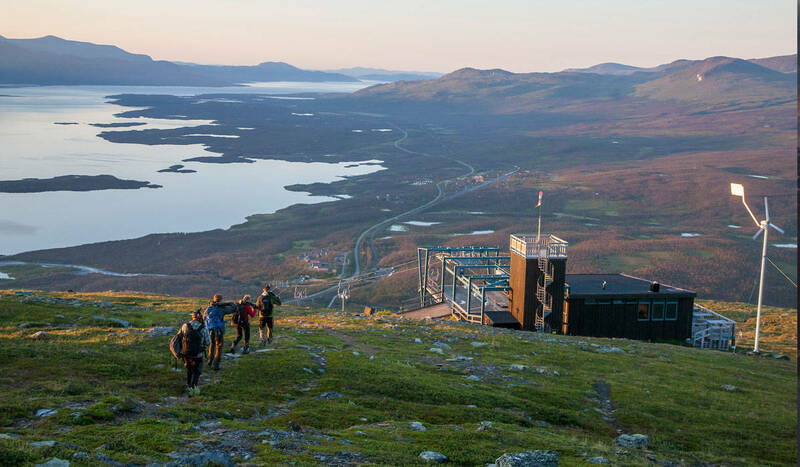 The King’s Trail starts in Abisko and in the summer you can meet quite a few hikers keen to start their adventure up into the mountains. Sun setting over Lake Torneträsk - shot from a roof top. Early morning coming down to Aurora Sky Station from a long day and night of photography. 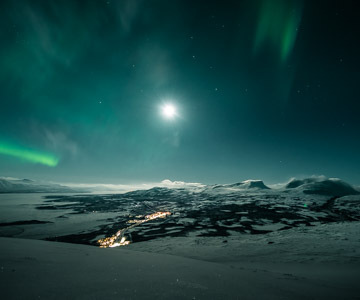 In the winter – the northern lights, Aurora Borealis, is the great attraction and visitors make their way to the top of Mount Njullá/Nuolja and the Aurora Sky Station. Abisko has the driest climate in the entire northern Scandinavia and is the best place in the world to see the northern light. 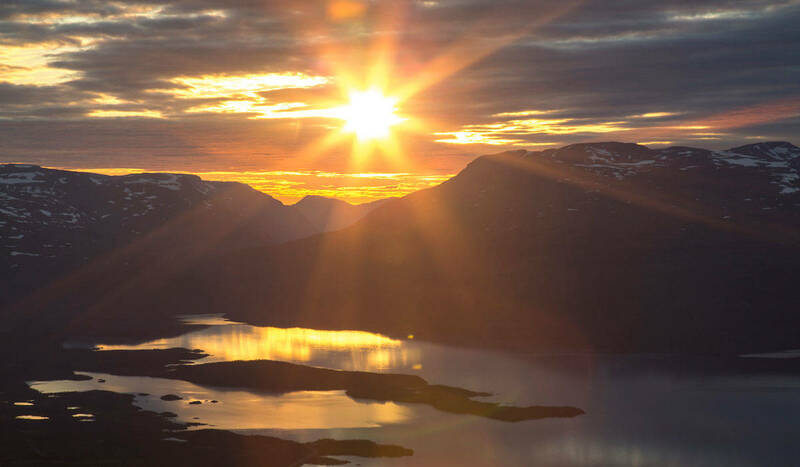 For the same reason, it is the most secure place to experience the great Midnight sun. Autumn colors are most prominent from mid september. 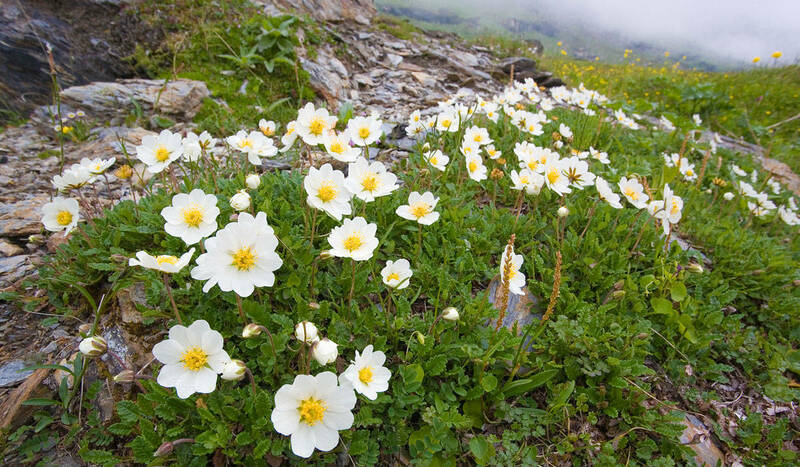 Mountain Avens (Dryas octopetala) enjoy lime-rich ground and is common in the Abisko area. Just imagine one hundred days without night during summer. 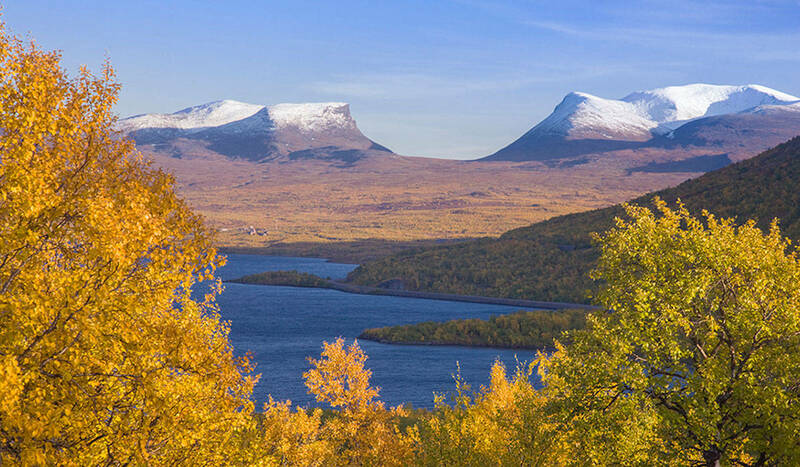 Take a short hike into Abisko National Park, climbing a hill and just watch the sun not descend. That experience can easily compete with the most beautiful sunset. For a photographer this is heaven. Playing with shadows in the midnight sun. Getting familliar with the midnight sun on Mt Nuolja/Njullá. Peter Rosén has a background as a biologist and is an associate professor in environmental science. In 1999 he came to Abisko with the vision to do less research and more photography. 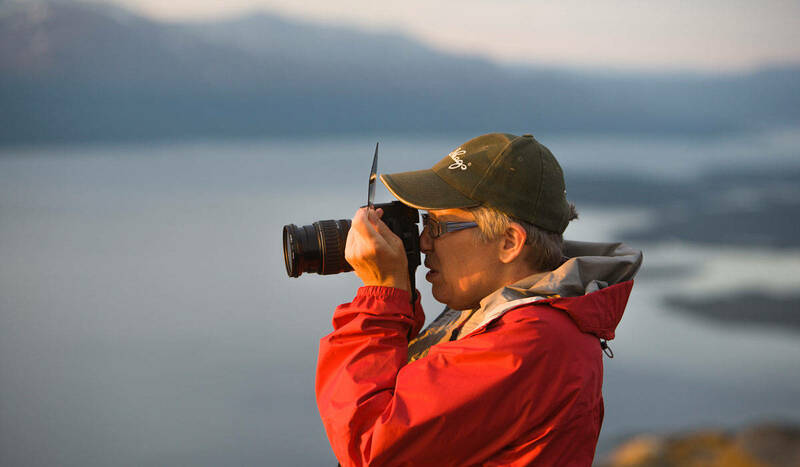 Today he works full time as a photographer and his knowledge of arctic nature and climate change give him an edge as a photographer and photo guide, knowledge he gladly shares with his guests. We asked Peter Rosén, photographer living in Abisko since 1999 to give his point of view on all this. 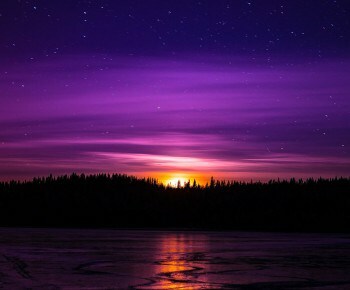 – The light is vital to all photography and every season offers something unique in Swedish Lapland. In the winter the cold blue, polar light gives amazing effects together with the northern lights, the moon and the millions of stars in the northern sky. 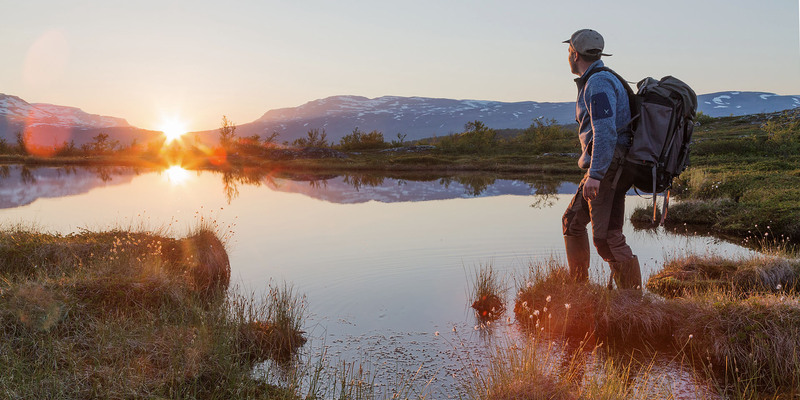 The evening light of summer gives the Lapland landscape a surreal glow. Lush subarctic hillsides, rivers shimmer, skies deepen, purple and fiery mountaintops dotted with stubborn snow. The scenery shifts with each blink. Midnight view from Mt Nuolja/Njullá. Participants of a photo course getting the first sense of the settings. 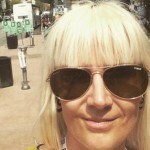 What is the best thing about summer photography in Swedish Lapland? – In short – there is no reason to go to bed! The beautiful evening light makes you awake and helps a lot when you want to photograph everything from macro, flowers, portrait, landscapes and wildlife. It is an exciting and busy time of the year. After a long winter, the mountains are alive and full of energy again. 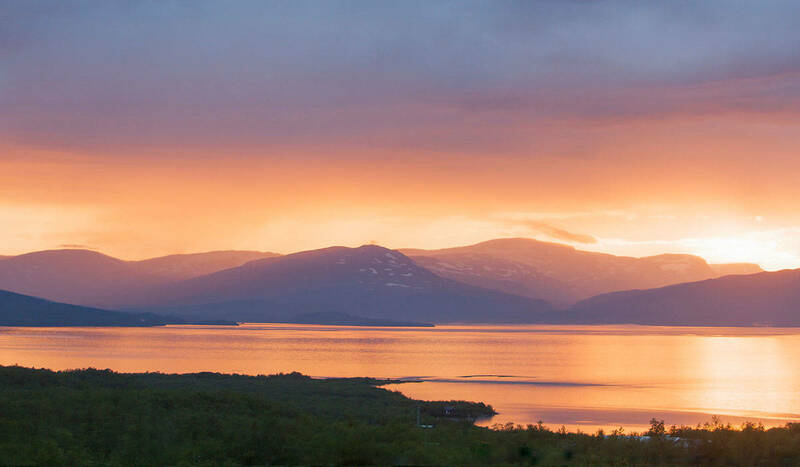 The coming summer you can take evening photo courses with Peter and his colleagues Niklas Johansson and Hans-Olof Utsi in Abisko and Björkliden. 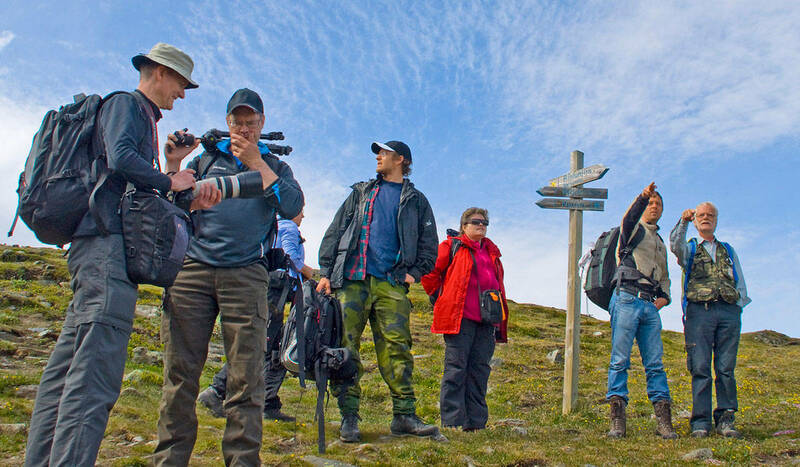 The course runs in collaboration with Lapland Resorts, STF Abisko Mountain Station and Abisko Mountain Lodge. 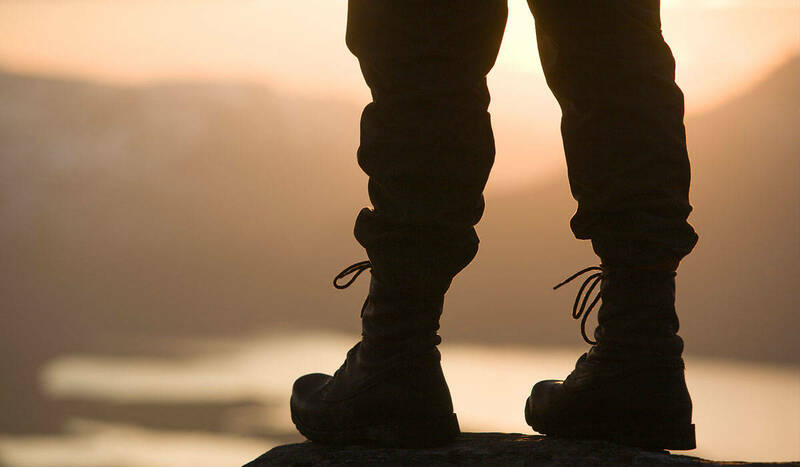 The course is outdoors and hands-on – you’ll get plenty of tips on how to develop your skills. You can use your own camera or borrow Canon SLR equipment on location. Find out more at photoadventures.lapplandmedia.se. 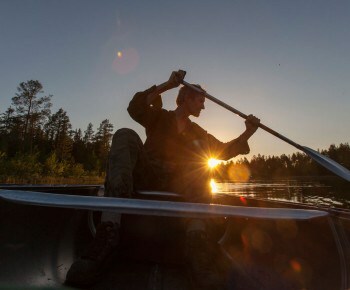 What is your best advice for anyone keen to do some photography during their summer-stay in Swedish Lapland? – Get out there when everyone else is asleep and creatively use the light. – Relax! Don’t start shooting straight away. Take your time. Get to feel the atmosphere. When you are relaxed, you can start seeing the images. To capture the extraordinary, you need to recognise the ordinary. – Get down on the ground and find new angles. A different perspective or a new light situation can make all the difference between a good picture and an amazing one. – Try and stay with one subject for an hour or more, compare how your images evolve. 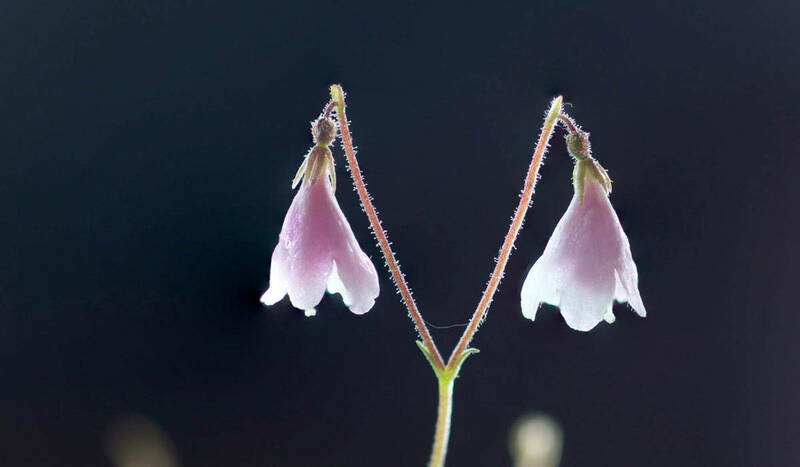 See the importance of light and angle to your subject. This is when you will start getting creative.